Greg Chang is a dentist, food educator, writer, and clown, receiving a DMD from University of British Columbia (UBC) and an antic arts diploma from Celebration Barn Theatre in Maine USA. His culinary training started in Canada (Dubrulle, Northwest Culinary Institute) and expanded worldwide to Ireland (Ballymaloe), USA (Culinary Institute of America), France (Walnut Grove and Ritz Escofier), and Australia (Sydney Seafood). He is past Chair of the Vancouver & District Midwinter Clinic and served on the Admissions Committee for UBC Dentistry. He has been Team Dentist for the BC Lions of the Canadian Football League for over 23 years, and is a part time faculty member at UBC where he coordinates an interdisciplinary professional program with UBC Land & Food Systems Dietetic and Dental Hygiene students centred on teaching public health food initiatives to youth. He received the UBC Health Team Education Award in 2016 for this work that was highlighted by the Canadian Dental Association Oasis forum. Dr. Greg created SuperChefs, a collection of expert doctors, dentists, chefs, educators and entertainment specialists from all over North America dedicated to improving the health of youth and finding grassroots solutions to the childhood obesity epidemic. 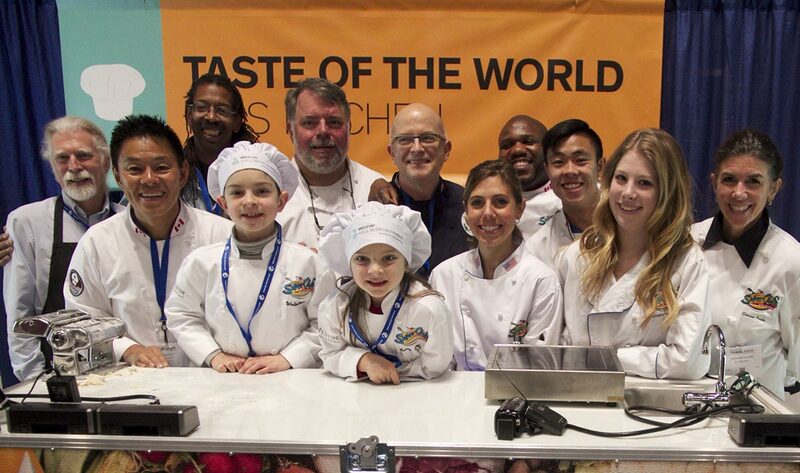 SuperChefs programs target youth most in need, while providing real world outreach experience for chefs, food & beverage professionals, and students in health care, nutrition, business and sports education in schools, community events and hotels all over the world. Locally he coordinates free SuperChefs cooking and sports camps to children every summer for the past 7 years in Surrey, the largest school district in BC where he practices. SuperChefs also created the Westin Kids Eat Well menu, a Westin global brand standard available in over 200 Westin Hotels worldwide, which has generated over 200 million impressions since its creation in 2014 to provide delicious and nutritious options for families on holiday. 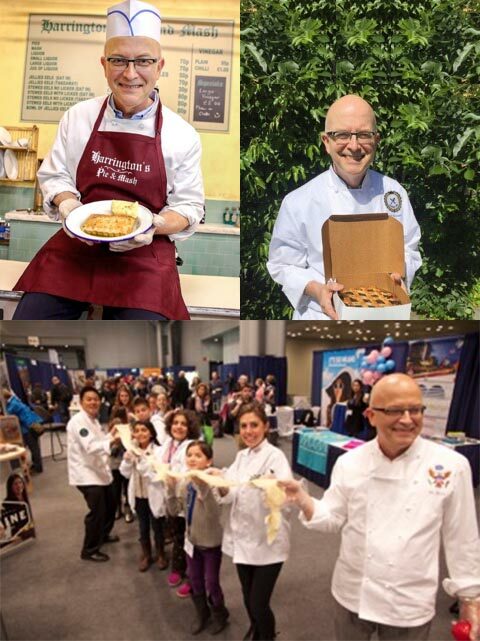 SuperChefs has worked with Michelle Obama's team at Let's Move including former Whitehouse Pastry Chef Bill Yosses, Partnership for a Healthier America, received Patronage from former Governor General of Canada The Right Honorable Michaëlle Jean, and has appeared in USA Today, New York Times, Yahoo! Travel, Bon Appetite/Epicurious, Travel Daily News, Food and Hospitality World, Fox TV, Global TV, City TV, Canadian Dental Association Essentials, Just for Dentists, Edible Magazine and Journal of the Canadian Dental Association and has been published in the Journal of the California Dental Association. A member of the American College of Dentists, Academy of Sports Dentistry, International Association of Culinary Professionals (IACP), James Beard Foundation, Dr. Greg has been an expert panelist/speaker on food and wellness trends at the New York Times Travel show, the IACP Conference, the Academy of Sports Dentistry Summit and continues to practice family dentistry in Surrey BC, and was nominated for the Surrey Cares Award of Distinction for Leadership in the Community. He is married to Nicole, and has three children Lauren, Ryan and Austin that are all involved in some capacity with his passion of promoting healthy choices for children around the world. Sharon Jacobs' vision adds the creative touch to Voodoo's projects. With over 25 years experience as an Art Director/Designer in New York, she has designed children's books for artists Tomie dePaola and Eric Carle at Penguin Putnam Books for Children and Bloomsbury USA in New York. Ian James, aka William Electric Black, has been a writer, director and producer for television, film and stage. 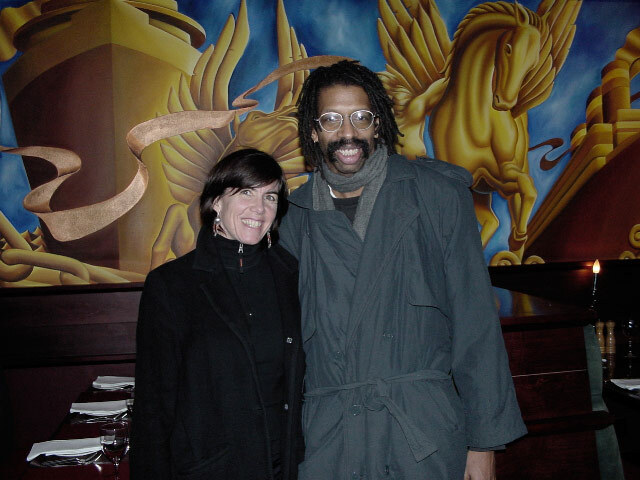 His numerous credits include 7 Daytime Emmy Awards for Outstanding Writing in a Children's Series (Sesame Street), and the National Education Video Award Bronze Apple for Directing (Solar Ram Jam) . He has written for Nickelodeon's Allegra's Window and Scholastic's Magic School Bus as well as composing original music scores for Frankenstein: The Rock Musical, Doo-Wop Dracula, Romeo and Juliet and Tribal Rock Musical. Dr. Michael Rich, MD, MPH is an Assistant Professor of Pediatrics at Harvard Medical School and an Assistant Professor of Society, Human Development, and Health at the Harvard School of Public Health. He sees patients at the Adolescent/Young Adult Clinic at Children's Hospital Boston and Bentley College in Waltham, Massachusetts. 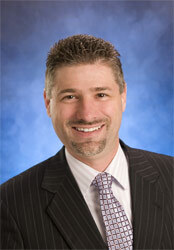 He is board-certified in both Pediatrics and in Adolescent Medicine. Dr. Rich came to medicine after a twelve-year career as a filmmaker (including serving as assistant director to Akira Kurosawa on Kagemusha); his current areas of health research and clinical work bring together his experience and expertise in medicine and media. Cognizant of the potency of the image and of the primacy of media as a source of information and influence, Dr. Rich studies media as a force that powerfully affects child health and health behavior and uses it as a tool for medical research, education, and health care policy. Bringing his media expertise to bear on the issue of child health, Dr. Rich developed and directs Video Intervention/Prevention Assessment (VIA), a research methodology in which patients who share a medical diagnosis or health risk factor make video diaries of their lives, visual illness narratives that are studied for factors in their day-to- day activities and environments that contribute to their condition. Based on studies using VIA to research how kids really experience asthma and obesity, Dr. Rich has authored numerous papers, including the first video-illustrated research paper ever published by Pediatrics. Dr. Rich received the New Investigator Award from the Society for Adolescent Medicine for his development of VIA and the research resulting from it. Dr. Rich received five years of funding from the National Institute of Child Health and Human Development (NICHD) to further refine the VIA method in a longitudinal study of young people with disabling conditions as they transition to the adult health care system. In addition, Dr. Rich wrote and co-produced Relieve the Squeeze, a short film starring Danny DeVito and Nia Long that used humor and drama to educate and empower children and adolescents to take control of asthma. Dr. Rich has established a reputation for investigating the negative health effects of media exposure, having authored research papers examining the portrayals of interpersonal violence and substance use in music videos, and chapters in key texts. He has been elected a member of the prestigious Society for Pediatric Research, a Fellow of the Society for Adolescent Medicine, and a Fellow of the American Academy of Pediatrics (AAP). He has authored practice policy for the AAP membership on media issues, including policy statements on media violence and a well-publicized 1999 AAP policy statement on media education as a public health intervention. Dr. Rich has served on the Editorial Board of Pediatrics, and as a member of the AAP media leadership group, the Committee on Public Education. 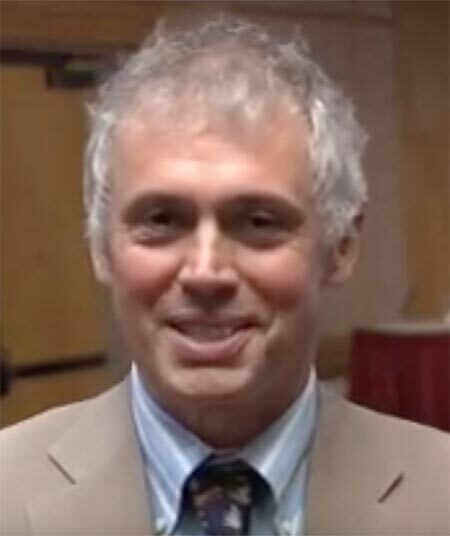 Dr. Rich has authored and presented testimony to the United States Congress, Illinois and North Carolina State Legislatures, and the Chicago City Council, and was a contributing author of the Children and Media Research Advancement Act (CAMRA) bill, sponsored by Senators Hillary Clinton, Sam Brownback, and Joe Lieberman. Dr. Arya M. Sharma, MD/PhD, FRCPC is Professor of Medicine and Chair for Obesity Research and Management at the University of Alberta, Edmonton, Canada. He is also the Scientific Director of the Canadian Obesity Network, coalition of health care providers dedicated to finding medical and scientific solutions for the crisis in childhood obesity, funded through the federal National Centres of Excellence program. He further uses his expertise as a leading obesity expert as the Medical Director of the Edmonton Capital Health Region's interdisciplinary Weight Wise program, the largest regional obesity program in Canada. Dr. Arya Sharma's is widely recognized as one of Canada's leading obesity experts. He has authored or co-authored more than 250 articles on the management of obesity and related cardiovascular disorders, and has lectured on the subject all over the world. His research focuses on the evidence-based prevention and management of obesity and its complications. Dr. Sharma frequently travels to Europe, Asia, and South America to share his expertise. He has been a practicing physician for more than 20 years, and has worked with thousands of patients who have struggled with obesity and related problems. As a leading obesity expert, Dr. Sharma passionately believes educating the public on this chronic disease. He writes a blog where he writes about his thoughts on obesity, its prevention and management. He also makes regular public and media appearances to inform the public on the complexity and management of this disease. His past appointments include positions as Professor of Medicine and Canada Research Chair (Tier 1) at McMaster University (2002-2007), Professor of Medicine at the Franz-Volhard Klinik - Charite, Humboldt University Berlin (2000-2002) and the Free University of Berlin (1994-2000). His research focuses on the evidence-based prevention and management of obesity and its complications. He is a member of several scientific associations, including the Canadian and International Societies of Hypertension. He is a fellow of the Council for High Blood Pressure Research of the American Heat Association and on the editorial board of several academic journals. 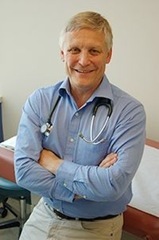 Dr. Jean-Pierre Chanoine, MD, PhD is the Clinical Professor, Department of Pediatrics, University of British Columbia, Head of Endocrinology and Diabetes Unit, Children's and Women's Health Centre of BC (Child and Family Research Institute). 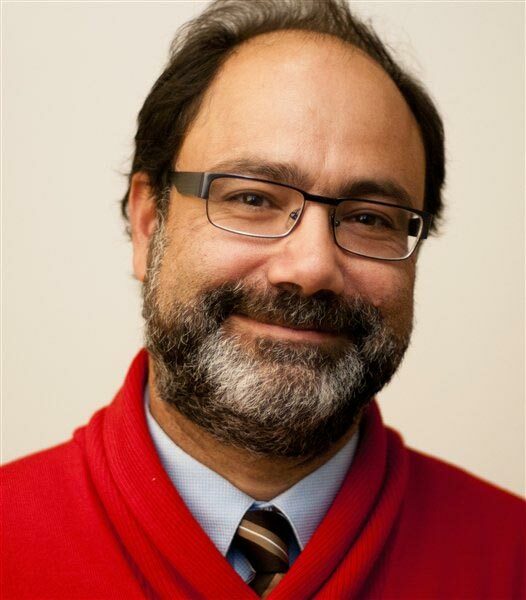 Dr. Chanoine is a member of the Canadian Obesity Network, Behavioural and Biological Factors, Women and Children and Prevention, Treatment and Rehabilitation, Diet and Nutrition, Childhood and Adolescence. Dr. Chanoine is a Pediatrician who graduated from the Free University of Brussels, Belgium in 1982. He joined the University of British Columbia in 1988 as Clinical Professor ad Head of the Endocrinology and Diabetes Unit at British Columbia's Children's Hospital. His research areas include Prevention and treatment of childhood and adolescent obesity focusing on the study of nutrition and childhood obesity, from the laboratory to the patient and the community. The main line of research aims at understanding the physiological events leading to the onset of obesity, with emphasis on the regulation of ghrelin, a newly discovered hormone secreted mainly by the pancreas in the fetus and the neonate. Laboratory-based projects include an animal model of gestational diabetes to study the effect of pre- and post- weaning nutrition on ghrelin metabolism, and ghrelin's potential role in the development of obesity and glucose intolerance in the offspring of pregnant rats with gestational diabetes. Clinical projects aim at investigating the role of ghrelin in neonatal appetite regulation. We were the first to demonstrate the presence of elevated concentrations of ghrelin in umbilical cord blood. Community projects propose an original intervention (peer-led curriculum) to prevent the development of obesity in schoolchildren. His project "Healthy Living: Children Teaching Children to Go Move, Go Fuel and Go Feel Good" (short title: "Healthy Buddies"). A developed and piloted education program (Healthy Buddies) targets attitudes and behaviours bout body image, nutrition, and physical activity. The innovative aspect was the use of buddy teaching strategies, where grades 4-7 children teach their kindergarten to grade 3 (K-3) "buddies". The objectives now are to generalize the program from a single school to a program that can be easily conducted by teachers in 20 elementary schools throughout the province of BC and to ensure that the program is also relevant for all BC school populations (E.G remote Northern aboriginal, ESL, large urban, etc). Dr. Stephan Grasmuck, B. Mus., B. Ed., M. Ed, Ed. D., earned his Honours Bachelor of Music and Bachelor of Education degrees from The University of Western Ontario, and his Master’s and Doctoral degrees in Educational Administration from the University of Toronto. As a trained musician, Dr. Grasmuck has conducted and performed as a trumpeter with symphony orchestras, concert bands, jazz bands, pit orchestras, and brass ensembles. As a professional educator, Dr. Grasmuck has served students and their families for over thirty years. In both public and independent school systems in Canada and the United States, he has developed school programs to become the focal points of the schools’ curricula. Dr. Grasmuck has mentored countless teachers over the years. He served as a teaching associate for The University of Western Ontario Faculty of Education, a panellist on education for aspiring teachers, a national panellist on Differentiated Instruction, and on several school evaluation teams for the Canadian Educational Standards Institute. Most recently, he was appointed by Ministerial Order to the Independent School Teacher Certification Committee by the Minister of Education, Province of British Columbia. Dr. Grasmuck’s educational experience includes years of service in senior administration as Deputy Headmaster of St. George’s School in Vancouver, Headmaster of Fraser Academy and The Glenfir School in B.C., and as the NAFTA Consultant for The International School in Portland, Oregon. He has worked with students from the ages of three to nineteen years, including from pre-Kindergarten to grade 12 (grade 13 in Ontario), in boarding and day schools, and through an extensive range of programming including Learning Disabilities, International Baccalaureate, Advanced Placement, and full Immersion education in multiple languages. 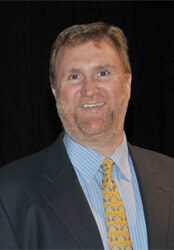 As Head of School and in his capacity as an educational consultant, Dr. Grasmuck has led complex organizations through short and long range strategic planning; risk management policy development and implementation; fundraising; facilities renovations; board development; recruitment, retention, and marketing initiatives; curriculum revision; faculty professional development and evaluation; and administrative restructuring. He has done extensive policy review and revision toward improving school performance and overall service to students and their families. Dr. Grasmuck has dedicated his career through both research and practice toward helping students, as individuals from very diverse backgrounds, to improve the quality of their lives through education. As an educator, he continues to experience on a daily basis the nexus between students’ physical health and mental achievement, and between physical well-being and the joy of living. With his passion for helping young people in every way, Dr. Grasmuck embraces the extraordinary mission of the Super Chefs to help to improve the lives of individual children through a unique, fun, and interesting form of education. He looks forward to his work with the Super Chefs team of professional chefs, teachers, advisors, and parents as they fight childhood obesity and engage young people on the path toward enhanced lives as healthy individuals. Jean-Luc was born and grew up on the Mediterranean shore in France in a community surrounded by the sea and the Provence sun. From an early age he was exposed to great food using the freshest and best of ingredients. "… there, the quality of food is paramount, the cooking is by all account simple and un sophisticated, but folks will not compromise on the ingredient’s quality…I remember the smell as we were walking down to the market with my Grandmother who was (I thought) so picky in her choice of meat, fish, vegetables and fruits that I was a little bit embarrassed at the time; she would never hesitate to tell the merchant where she had bought a tomato or apricot the day before that it was not ripe enough or that it did not have any taste! , which of course it did, but in her expert opinion was not as good as she was expecting it to be. ..and she was going to let them know…"
Jean-Luc Barone spent many years in the kitchen throughout Europe, including England, Switzerland, Scotland and France. During his tenure as a chef he has been actively involved in culinary competitions and with the Canadian Federation of Chefs and Cooks..
With his dedication to assisting apprentices he worked closely with hospitality colleges and apprenticeship boards. He assisted in curriculum development as well as culinary lab teaching. He spent a good portion of his culinary career promoting Canada’s regional cuisine and indigenous products. His hard work and dedication earned him a nomination for the prestigious "Médaille du Mérite Agricole", an honour awarded by the Government of France. An eager participant in culinary competitions, he won the prestigious Canadian Chef’s tournament in 1998 after competing against representatives from each Province. 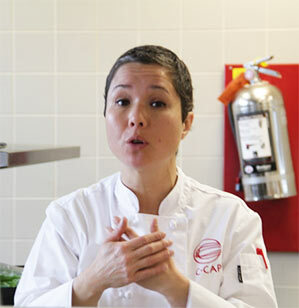 Barone was named Captain of "Canada’s Capital Region Culinary Team". The team, selected to represent Canada in the "World Cooks’ Tour for Hunger 1999", was held in Scotland. With Barone at the helm, the team returned with six medals - a gold and five silver! In the fall of 1999, he led a Team to the Cup of The Nations held in Quebec City. This international competition’s is held every year to promote the culinary arts, hosted no less than 170 participants from 10 countries. The Team received 7gold medals, 1silver and 1 bronze. In addition to the medals the Team was awarded the President’s cup for the highest points achieved all categories and the Cup of the Nation to the highest points achieved in hot competition. Barone is a graduate from the University of Guelph’s AMPHI (Advanced Management Program for the Hospitality Industry) as well as a Certified Chef de Cuisine (CCC) designation from the Culinary Institute of Canada. He is also a certified Six Sigma Green belt. After hanging his Chef’s jacket, Barone remained involved in the industry as a Director F&B, Dir Operations, Hotel Manager and then National Director F&B for Starwood Canada before joining the westin Calgary as General Manager. He also managed the Canadian Government Guest house in Ottawa where he catered to heads of states and dignitaries from all around the globe. He relocated to Vancouver with his wife and two daughters in Sept 2007. He has served on the board of Director of the Ottawa downtown BIA for a 2 year term prior to moving to Calgary. 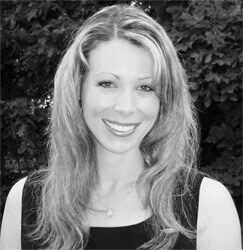 Lisa Kimmel is a Registered Dietitian and Certified Nutritionist. She holds a Bachelor's degree in Dietetics and Master's degree in Exercise Physiology. Lisa completed her dietetic internship at Yale-New Haven Hospital, where she managed outpatient nutrition services and served on the clinical faculty for over 15 years. She was the sports nutritionist for Athletic Medicine and nutritionist for Yale Health and is now Senior Manager of Yale's employee wellness program, Being Well at Yale, and also for Student Wellness at Yale Health. Lisa has been extensively published in professional journals and magazines. Most recently, she co-authored, Generation Extra Large, Rescuing our children from the epidemic of obesity which received national media attention. She has also contributed to articles in Newsweek, Family Circle, Better Homes and Gardens, Parenting, Fit Pregnancy, and Woman's Fitness. 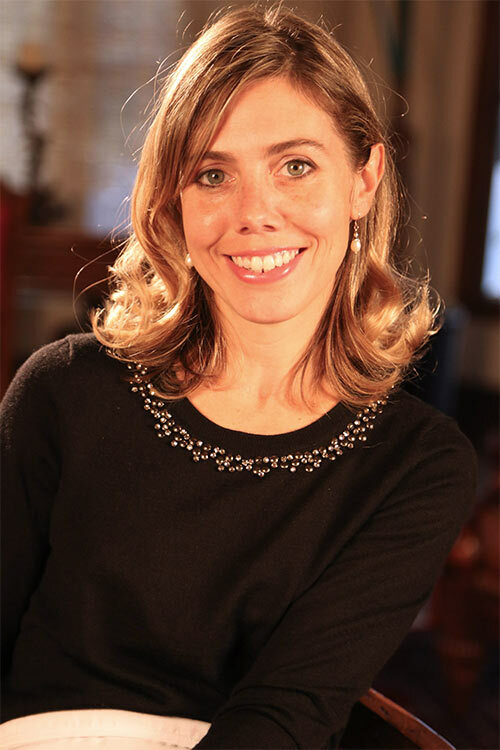 She has appeared on national and local television and radio and has served on the advisory boards for Super Chefs, ABC news, babycenter.com, and Consumer Health Interactive. She is a member of the Academy of Nutrition and Dietetics, Sports, Cardiovascular and Wellness Nutritionists Practice Group, and the Connecticut Academy of Nutrition and Dietetics. In 1997, she was named "Recognized Young Dietitian of the Year." In 2013, she was recognized at Yale University's "Working Mother of the Year." Authors, speakers, fitness educators, and NSCA certified personal trainers (National Strength and Conditioning Association) Uche and Kary have inspired people and debunked fitness myths on national television, radio, and in magazines with their energetic and enthusiastic message. Their passion for their mission is evident in their numerous seminars and workshops. They are two busy people who have woven fitness into the fabric of their lives. They have been called "Canada's first couple of fitness" and with their travels to Australia, Poland, Hungary and the United States they have become ambassadors for a healthy lifestyle. They bring a spark of clarity to the often puzzling world of fitness and share their message with insight, compassion, and humor. Kary Odiatu has a Bachelors degree in Physical Education and a Bachelors degree in Education. She is a former physical education teacher and a professional athlete in the sport of Women's Fitness. She was the only Canadian invited to compete in The Arnold Schwarzenegger Fitness Classic in 2002 and was one of 14 professional athletes in the world to qualify for the Fitness Olympia in 2003. She has competed in over 30 competitions in Canada, the USA, Greece, Hungary, Australia and Poland! Kary has a keen insight into the world of women's fitness and is often called upon by athletes to assist them with their fitness goals. She is a contributor and model for many popular fitness magazines and is now certified in pre and postnatal fitness. Uche Odiatu has a Bachelor of Arts (psychology) and is a Doctor of Dentistry (DMD). He is a certified fitness leader in resistance training for older active adults. He is a member of the American College of Sports Medicine and a certified trainer with the National Strength and Conditioning Association. Uche is a certified Nutrition and Wellness Specialist by the Canadian Association of Fitness Professionals. His varied life experience has enabled him to assist other professionals in their fitness quest. He contributes lifestyle health and fitness articles to the Canadian Dental Association's newsletter The Communiqué. Uche is an alumnus of the prestigious Pankey Institute in the USA. He has been writing, presenting, and promoting fitness related events since 1994. He also competed internationally and represented Canada in Madrid in 1986 and Poland in 2000. Uche has an interest in comedy and has performed at comedy clubs. His stories and sense of humor add entertainment value for their audiences. Carol Murphy Clyne has an education degree from Boston College and completed the ProChef certification program at the CIA (Culinary Institute of America). She is a certified chef de cuisine and a visiting instructor at the CIA. She teaches culinary classes for children, adults and teenagers for CIA at both the Hyde Park campus and Astor Centre in New York City. Chef Bongo is a member of Canadian Culinary Federation of Chefs and Cooks (CCFCC) and the World Association of Chef Societies (WACS). Chef Bongo has endless achievements that he truly deserves due to his professionalism, passion, and hard work. Chef Victor Bongo credits the foundation of his career to his mentor Edmund Liew, the 3-star Michelin Chef who was part of the winning Team Canada-Alberta at The World Culinary Cup in Luxembourg. Below is the brief overview of what he has accomplished since 2007. He worked at several reputable organizations in Vancouver such as, Marriott hotel, Four Seasons hotel, and Bacchus Restaurant in Wedgewood hotel. He also had the honor of working for Holland America Cruise Lines. One of the highlights in his culinary career as an Executive Chef is working at The Raven hotel and Gourmet restaurant in the Yukon. The later is rated one of the best restaurants by the “Where to Eat in Canada” national food guide. Currently, Victor Bongo is the Executive Chef of Establishment Lounge in Vancouver. This cozy and fun restaurant specializes in International Fusion Dishes. Numerous articles have been published about Chef Bongo’s remarkable food creations. Some of these reputable newspapers include: Vancouver Metro, Vancouver Sun, Now Newspapers, Tri-City newspapers, Westender Weekly, Vancouver Observer, Georgia Straight, and Snap Newspaper. In addition to these articles, he has also been featured in several magazines. In 2011, Tiding’s Food and Wine Magazine has chosen him to be “One of the Top Canadian Maverick Chefs”. Hello Vancity, Mwinda Afro – Caribbean Magazine, YFM Magazine and Flavored World Magazine also acknowledged his amazing work. Television producers have also taken an interesting peak at Chef Bongo’s career. He has been invited twice by CTV to do a cooking show for City Cooks. 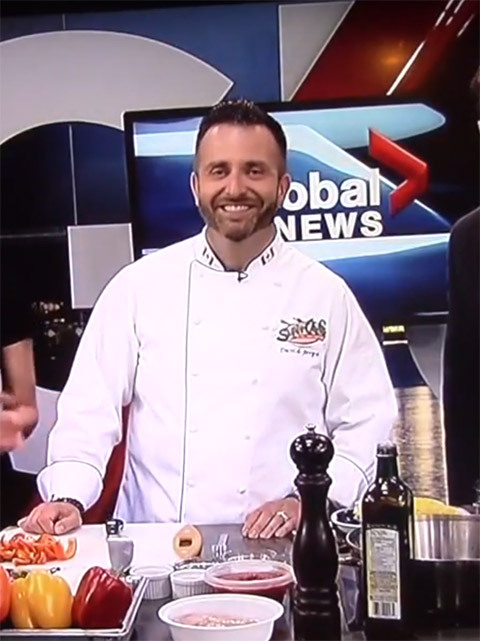 Chef Bongo has captured another network’s attention when he did a cooking show segment for Global TV. One of the most exciting paths in his career was when Pilsner Cook book featured his “Pilsner Goat Cheese and Pistachio Nut Cheesecake” in 2012. He is very honored to be in this prestigious cookbook. Chef Bongo already has a lot on his plate; however, he ensures that he contributes as much as possible to events where he is needed. In 2011, he made an appearance as a celebrity judge for the Imagine event. In 2012, he also participated in the Fusion Festival Celebrity Chef event. 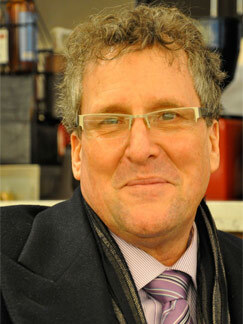 In the same year, he demonstrated his marvelous cooking skills at the BC Home and Garden Show. The busy chef is unstoppable. By 2013 he already attended three significant events of the year. 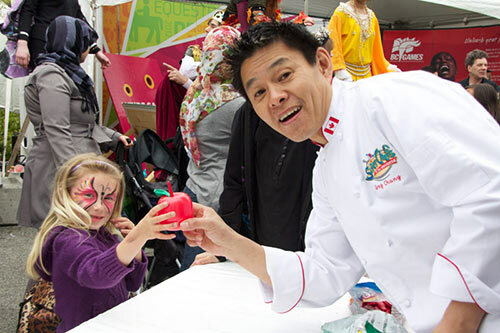 He entertained people with his prominent culinary skills at the “Eat Vancouver” event. He attended the Canadian Obesity Summit. Lastly, Victor Bongo as a healthy cooking chef showed his presence at the Affiliation of Multicultural Societies and Services Agencies of BC (AMSSA) Health Fair event. of the Top Ten Best Chefs in all of Canada”. 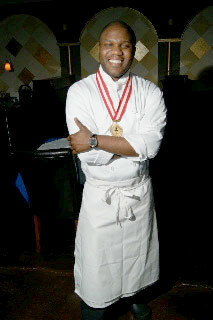 Chef Bongo achieved his “Gold Plate Award” by creating an incredible menu in 2012, his best year yet. Helping to reach this achievement when Georgia Straight Readers’ Choice awarded Daniel’s restaurant as the best restaurant in Vancouver. Victor Bongo was the Executive Chef at Daniel’s restaurant at the time. In addition to his extraordinary work in the kitchen, Chef Bongo is dedicated to providing positive changes in the community both in Vancouver and in Africa. He is the Vice President of Chain De La Solidarite Nord Sud Foundation, a not-for-profit organization giving assistance to the people in developing countries around the world. Chef Bongo is currently working closely with the Dr. Greg Chang of Super Chefs of the Universe, which is devoted to the prevention of childhood obesity. They run a program that focuses on teaching children to have healthy eating habits. Michael Morgan is a 360˚ strategic communicator and tactician. Over his career, he has owned and operated a national advertising agency for clients with international reach, hosted a nationally syndicated radio show, continues to be a sought-after voice for advertisers (in Canada, the United States, and Europe), and is credited with creating emotionally-based, strategic political television advertising bold enough to garner the attention of the political science department at Yale University, and the Washington Post. TV pilot producer, commercial radio morning drive host, writer, crisis planner and trainer, motivator, marketer and teacher can also be added to the list. Central to this diversity is his ability to get to the heart of an issue, to craft strategies and tactics to meet it head on – invariably with a creative and emotional twist – with trademark enthusiasm. Michael has touched the entertainment, medical, social, labour, science and business sectors and worked with their leaders, including Dr. David Suzuki, Dr. Ken Blanchard, The One Minute Manager; Grammy-winning composer David Foster, the Olympic Secretariat. Erin Rowsell, BSc, RD, RYT is originally from the East Coast and now resides on Quadra Island, BC. She is a Registered Dietitian with a focus on food security and community nutrition. Erin worked within the Aboriginal Health program of the Vancouver Island Health Authority for almost 6 years as a Food Security Dietitian. Her work focused on looking at Indigenous food systems. Through this work she helped found and coordinate the Vancouver Island and Coastal Communities Indigenous Foods Network as well as the Traditional Foods Conferences (going into its 6th year). Erin has also taught many cooking classes with youth and helped to host and coordinate the first Indigenous Superchefs Camp 2012. Most recently, she has left the health authority to start her own venture of wellness and nutrition contracting: Heart’s Content Wellness and Nutrition. With her new venture she is involved in many projects ranging from community engagement events with Indigenous communities to arranging culinary courses on Quadra Island to teaching a Food Security and Food Justice course for St. Lawrence College. Her work comes from a holistic lens, as she is also a Registered Yoga Teacher and heavily involved in her community. She also had training in Humanistic Medicine from the Gesundheit Institute in West Virginia (yes the Dr. Patch Adams Institute really does exist!). Erin serves on the boards of the National Aboriginal Diabetes Association, WDusk Alternative Energy Solutions and the Canadian Heart and Stroke First Nations Food Solutions Committee. Chef Andrew George was born in Smithers B.C Nov. 11, 1963 and is one of six children and raised in a traditional way of the Wet'suwet'en people in their traditional territories. Throughout his life he was groomed to eventually be a Hereditary wing Chief for the Bear Clan in the traditional system of the Wet'suwet'en people. His traditional name is Skit ‘den the wise man. He attended Vancouver Community College cooking program and apprenticeship in the early eighties, achieving his Red Seal in 1989, and worked in restaurants in the Vancouver area including Chateau Whistler Hotel and the Four Seasons. 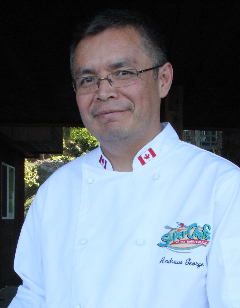 He opened and ran the Toody-Ni Restaurant and Catering Company in Vancouver during the early 90's before being selected to be part of the Canadian Native Haute Cuisine team that participated in the 1992 Culinary Olympics in Frankfurt, Germany. Chef Andrew remarked that it was at the Olympics that his eyes were truly opened to the great opportunities and what a rewards that a career in the culinary trades had to offer and concurrently also noticed the lack of Aboriginal peoples in this wonderful career. Chef Andrew worked part time in Montreal at the International Tourism and Hospitality School of Quebec promoting aboriginal culinary arts from 1993 to 1998, returning to Vancouver in 2006 when an opportunity arose to prepare Aboriginal youth for the a career in the cooking industry prior to the 2010 winter Olympics in Whistler/Vancouver. Working with the Industry training Authority and culinary schools and ways to recruit and retain aboriginal students. Chef Andrew mentored aspiring students in a certified 16-week pre apprenticeship cooking program with life skills, essential skills as well as professional skills to prepare our students for culinary school with an opportunity to go directly into an apprenticeship. Recently Andrew joined Super chefs of the Universe team to promote healthy eating and life style to offset child hood obesity. Andrew also co-authored Feast Canadian native cuisine for all seasons and Feast for all seasons a cook book geared toward introduction to northwest aboriginal cuisine and is currently working on Modern Feast a recipe book bringing our traditional recipes forward into a modern form to be released in Sept. 2013. It is also my mandate to continue to promote the Healthy aboriginal cuisine to the world and to have it mainstreamed with other cuisine. Su Wun Harris is a Program Manager who works with organizations whose goal it is to improve the health of children through education. As a trained teacher and a graduate of the Culinary Institute of America she develops curriculum based on proven principals of education. 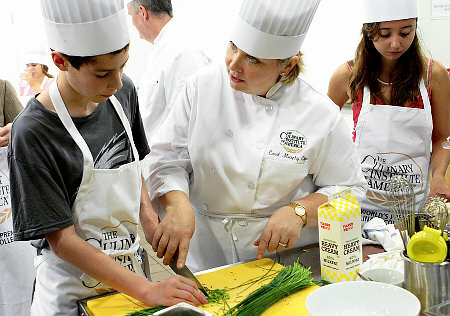 Her programs engage students in a diverse combination of activities that empower and motivate them to explore a broader food world. She implements cooking classes that give students the skills to choose nutritious and delicious foods as an alternative to convenience foods. Many of her programs include field trips to farms, markets and restaurants to broaden students’ understanding of food systems. Chef Harris helped develop the SuperChefs Cookery for Kids implementation kit for the Starwood Hotels and Resorts partnership. She has five years experience running programs for not-for-profit organizations and four years as a chef instructor in professional culinary school programs. She cooked professionally for three years before moving into program management. In addition to an A.O.S. from the CIA, she has been certified by The American Hotel and Lodging Institute as a hospitality educator and studied food and cooking internationally: at the Cordon Bleu in London, the Ecole de Marie Blanche de Broglie in Paris, and with Suzanne Trilling in Mexico. Jill Conklin is a Chef and Business Development Executive specializing in strategic sales and marketing efforts and culinary relations. She has a culinary degree in food applied science and nutrition with extensive work experience in foodservice operations and management. During her 18 years in this sector she has worked as an Executive Chef in hospitality food service, nutrition and food safety educator, Business Development Market Manager, Product Manager and philanthropic advisor. Jill has a dynamic work portfolio in projects consisting of process management; menu development; kitchen operations, food safety and temperature controls; and marketing conceptualization. Her personal passion of food and culture permeates into professional and actionable work to assist food service professionals in non-commercial domestic and international markets improve food security and wellness of children and adolescents. Amongst her prestigious positions she is currently Chair of the Kids in the Kitchen Interest Section IACP and The Culinary Trust and Past–Chair: Chef's Table Committee for the School Nutrition Association, a past ad-hoc member of their Industry Advisory Board; PR Co-Chair for the USDA "Let's Move, Chefs Move to Schools" campaign, Chair of Awards of Excellence for the International Association of Culinary Professionals, Chair of the Global Child Nutrition Foundation Fundraising 2012 Forum for Ethiopia and Past Nominations Committee Electing Gene White Lifetime Achievement Award to Marshall Matz, M/M Law; Arlene Mitchell, Bill and Melinda Gates Foundation. Her career to date has included performance as: Sous Chef at the Kiawah Golf and Tennis Resort, SC; an Executive Chef and Culinary Educator for Walters Restaurants, RI and ICC education programs; Chef Trainer for Kids in the Kitchen and Kids First, RI; Domestic Sales Manager for Winston Industries, a leading manufacturer of precision temperature cooking equipment; Avenir Culinary Systems, Strategic Business Development Services; FreTek Food Group R&D Product Development, Smart Temps, LLC, Kaufmann & Associates, Business Development and Culinary Support; and Salt Block 8 umbrella of Top 1-2 Tier Food Manufacturing/Processing Companies, Hospitality and Cruise Brands. Dr. Steve B. Howell is currently the Head of Space Science and Astrobiology for the NASA Ames Research Center. He previously was the project scientist for NASA's premier exoplanet finding missions: Kepler and K2. Steve received his PhD in Astrophysics from the University of Amsterdam and has worked in many aspects of astronomy including building state-of-the-art instrumentation for ground and space-based telescopes, university education, and public outreach. Howell is an expert in high resolution, digital imaging and photometric measurements of astronomical objects and currently is involved in many projects related to observation and imaging of exoplanets. 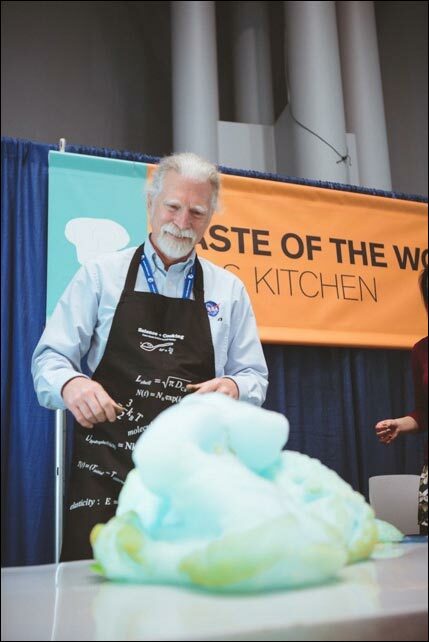 Combining the latest scientific discoveries about exoplanets, fundamental physics principles, and modern food chemistry has led Howell, and collaborator former white house chef Bill Yosses, to develop a series of educational and highly entertaining public outreach presentations related to the science of food. These presentations and workshops have included the USA and World Science Festivals, Educational food tasting for the Gemini Observatory staff and community in Hawai'i, and public lectures at the famous Harvard cooking school. Howell has written over 800 scientific publications, numerous popular and technical articles, and has authored and edited nine books on astronomy and astronomical instrumentation. He has also written two science fiction books, "A Kepler's Dozen" and "Kepler's Cowboys". He is currently working on a molecular gAstronomy scientific education and cooking book with Bill Yosses. Steve is highly involved with informal and formal scientific education for kids to adults. Steve lives in the San Francisco bay area and enjoys scientific challenges, the great outdoors, vegetarian gourmet cooking, and playing blues music. And yes, He still considers Pluto a planet. Chef Vanessa Lee is a Red Seal chef with not only industry experience, but also a double degree from UBC in Education and Food and Nutrition. Despite only starting to cook in Grade 12, Vanessa has been excited by food ever since eating her first fois gras and sweetbreads at the age of 10. 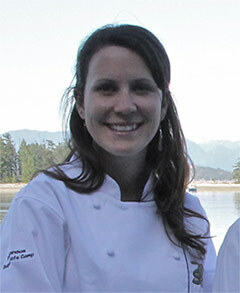 After graduating from the UBC, in the faculty of Land and Food Systems with a bachelors in Food and Nutrition, Vanessa started working at The Cannery and attending Pacific Institute of Culinary Arts. During her time at PICA, Vanessa placed top 3 in several competitions, and graduated with an award as the top student of her class. She then worked at a number of top restaurants in Vancouver, including Ciopinnos, Diva at the Met, The Observatory. Eventually, Vanessa declined the Executive Chef position of Tapenade Bistro to pursue the world of culinary education. After teaching Culinary Arts at VCC, Vanessa left to build a Culinary Arts program from scratch at Pacific Academy. Students at PA now learn College level cooking in 4 years of high school. She believes, and has proven, that high schoolers are tremendously talented and passionate, despite popular belief. They go from learning knife skills and mother sauces in Grade 9, to creating full menus and catering multicourse plated meals by Grade 12. 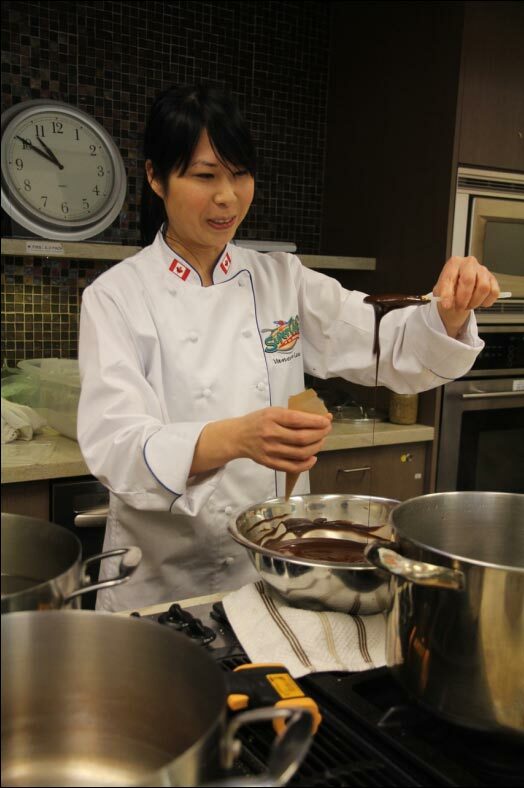 Vanessa provides her students with many unique opportunities, such as learning modern techniques, like sous vide and molecular gastronomy, as well as the opportunity to stage at places like Hawksworth and Longtail Kitchen. William "Bill" Yosses was the White House Executive Pastry Chef from 2007 to 2014. He is now the owner of the pastry company Perfect Pie, which is based in New York City. Yosses served apprenticeships in France, and also worked under Chef Patrice Boely and Sous Chef Daniel Boulud at The Polo Restaurant in New York City. He earned his A.A.S. degree at the New York City College of Technology in Hotel Management, a Master of Arts at Rutgers University in French Language and Literature and a Bachelor of Arts at the University of Toledo in French Language. He assisted in the opening of Paul Newman's Dressing Room in Westport, Connecticut-a restaurant utilizing locally grown, artisanal and organic food sources. Other Executive Pastry Chef experience includes Josephs Citarella in New York City; planning, designing and opening the pastry department of Bouley Restaurant and Bakery and operating the pastry department of the Tavern on the Green Restaurant in New York City. Mr. Yosses was also Pastry Chef at Montrachet Restaurant in New York City. He was hired to be the White House's executive pastry chef in 2007, where he charmed the Obama family with his all-butter crusts, earning him the title of "Crustmaster." At one point, President Obama joked that Yosses's pies were too good to be true. After being tasked by First Lady Michelle Obama to create healthier treats for her family, he discovered that when he dialed back the sugar in his recipes, his desserts were not only healthier on paper, but they actually tasted better too. In his new book The Sweet Spot, Bill upends the notion of "healthy" desserts and shares an inspiring collection of delectable sweets that reveal the magic that happens when you bake with less sugar. Bill has taken his talents to the theatre, serving his pies before the show of the new off-Broadway production of Stephen Sondheim's Sweeney Todd, the musical that takes place in a pie shop built inside the Barrow Street Theatre in New York City's West Village. He is a regular speaker in the Science and Cooking lecture series at the Harvard John A. Paulson School of Engineering and Applied Sciences. Bill's artisanal pie company, Perfect Pie, has received countless accolades throughout the run of the show and gained many appreciative fans. David Jorge is the MasterChefs Canada Winner Season Two, and corporate Chef in the Joseph Richard Group (JRG) Group of restaurants which owns S&L Kitchen and Bar in Surrey, Langley and Abbotsford BC. When not in the kitchen, David is a concrete contractor and father of two from Surrey, B.C. Learning to cook from his mother, celebrity chefs, and trial and error, David loves to cook for his family and friends. Making people happy through food is what inspires him, and is something he is truly passionate about. Aside from cooking for his loved ones, David is heavily involved in raising money through events for the Surrey Food Bank in order to help feed those in his community who are less fortunate. While cooking with his signature bold flavours, you can expect to find David in the kitchen listening to anything by Chromeo or Arcade Fire. He is known for hosting large family-style meals, featuring whole-animal cookery. For David, nothing is impossible when it comes to him and cooking – whether it means raising his own cattle or building his own wood-fired pizza oven and smoker. Christine Farkas is a chef consultant and Founder of IHeartFood Consulting, a food development and culinary consulting company based in Vancouver, British Columbia, with a reach across Canada and the United States. 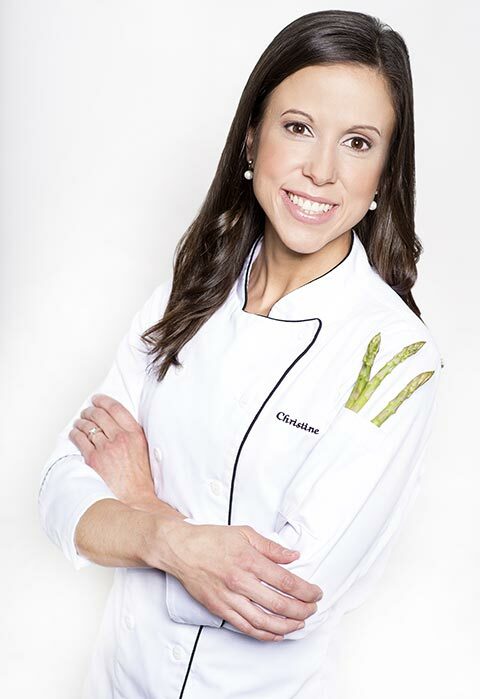 With a background in food product development, culinary management, and holistic nutrition; a few of Christine's (many) passions include pulses and plant-based proteins, fermented foods, and cooking with whole foods. She thrives on getting in the kitchen, exploring and showcasing versatile ingredients to industry and consumers (kids and adults alike) through tangible applications. Her work focuses on recipe and product development (and scale-up), hands-on culinary workshops, and trend-spotting through travel. "I truly believe and try to exemplify that nourishing foods can not only be delicious and craveable, but they also have the ability to make us become the best version of ourselves, creating vitality and zest in our everyday lives. Our energy, output, and outlook can all benefit from positive nutrition, hands down. We have this opportunity to share with others and to create beautiful food that will make a positive impact on people's lives and the world. Let's do this! 😊"